If you keep up with what’s new in medicine, you’ve likely heard about the excitement surrounding cannabidiol, known also as CBD. This highly popular oil is produced from cannabis plants, but unlike other cannabis products such as THC, is non-psychoactive and doesn’t cause any of the same side effects. So far, scientists have only begun to scratch the surface of all that CBD might be able to do for our health, but what we do know is that CBD is proving promising for dozens of ailments ranging from seizures to tumors. If you’re just beginning to learn about CBD oil, you’ve come to the right place. 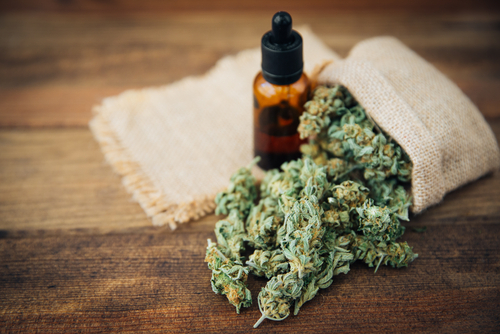 We’ve rounded up 30 fun facts about CBD oil in order to summarize just what it is, what we know about it, what it does, and what we think it might do. Cannabidiol is just one of more than 85 ingredients in cannabis plants. Most people know that CBD, or cannabidiol, is one of the ingredients in cannabis, but some mistake that fact to mean that CBD is always associated with cannabis as a recreational drug. In fact, cannabidiol is one of more than 85 ingredients of cannabis that have varying effects on the human mind and body. CBD oil is one of the two most prevalent ingredients in cannabis plants. CBD, along with THC, is one of the two main ingredients in both hemp and cannabis plants. CBD is found throughout the seeds, stalk, and flowers of the plant, and is therefore easily extracted. CBD oil works naturally with the body. Cannabidiol, along with a number of other chemicals found in cannabis plants, work naturally with a mammal’s cannabinoid receptor sites, which make up the endocannabinoid system (ECS) and which are found primarily in the brain and central nervous system. The list of things CBD could potentially benefit is a long one. The body’s endocannabinoid system is a massive network of cell receptor proteins that deal with just about anything the body is or does, including mood, memory, motor control, immune function, reproduction, pain perception, appetite, sleep, and bone development, to name but a few. Because CBD oil works naturally with the ECS, the list of things CBD could potentially benefit is huge. CBD might react with other systems in the body as well. Though research on this topic is still underway, scientists know that cannabinoid receptors aren’t the only receptors with which CBD can engage. So far, scientists know that CBD will engage either directly or indirectly with vanilloid receptors, adenosine receptors, and serotonin receptors, which could mean even greater effects on things like pain management, sleep-wake cycles, and mood and stress management, respectively. CBD interacts with, but does not bind to, CB1 receptors. CBD won’t make you high. CBD, along with THC, is a main component of the cannabis variant marijuana, but it’s THC that gives marijuana users their high. CBD is non-psychoactive in nature, and therefore cannot make you high. In fact, CBD can negate the effects of THC. While THC has been known to cause anxiety, paranoia, and increased levels of stress along with a high, CBD actually brings about the opposite. For this reason, CBD is being used more and more to treat anxiety and depression. It is impossible to overdose on CBD. CBD is non-toxic, so it is not possible to overdose while taking it. You can take CBD any number of ways. Once extracted from the plant, CBD oil can be taken orally through drops, cooked into food or other edibles, or vaporized for smoking. Hemp plants and cannabis plants for medical use are the two best sources for CBD. CBD, like THC, is a cannabinoid, and its amount varies from plant to plant. Cannabis plants meant for recreational use tend to have more THC than CBD. Alternatively, industrial hemp plants and cannabis plants intended for medical use are both very low in THC, but high in CBD. The first recorded medicinal use of hemp occurred around 2700 B.C. Hemp, along with its seeds and oils, has been used for more than 10,000 years for various purposes. As one of the first plants to be domesticated, hemp was used to make clothing, rope, paper, and shoes, while its seeds and oils were used as food and medicines. Even Queen Victoria used CBD. In the 19th century, Queen Victoria of England used CBD-rich cannabis to alleviate menstrual cramps. In the UK, CBD oil is classified as a medicine. CBD oil has been available in the UK as a “nutritional supplement” for quite awhile, but recently it has been reclassified as a “medicine.” This means that the British government has begun to formally recognize CBD’s many health benefits, a significant fact considering recreational cannabis is still illegal. It also means that CBD will likely be put through the same rigorous tests and trials as other medicines. CBD blocks the addictive effect of other drugs. In a 2013 study done on rats, scientists found that CBD can successfully block the addictive effects of highly addictive painkillers such as morphine. Specifically, CBD reduced the pleasure of morphine, making it seem like less of a reward. Recent research published by “Substance Abuse: Research and Treatment” reported that states that have implemented medical marijuana programs have already seen a 25% drop in deaths by opioid overdose. Furthermore, pain patients using medical cannabis (which by nature is high in CBD) used 64% fewer opioid painkillers than those for whom a medical marijuana program was not available. A strain of medical cannabis called Charlotte’s Web is leading the charge when it comes to medical marijuana laws. Two brothers in Colorado began growing a particular strain of cannabis that is high in CBD, but low in THC. The strain was named Charlotte’s Web after a 5-year old girl, Charlotte Figi, began using it to help control her Dravet Syndrome, an illness that causes frequent and uncontrollable seizures. The success of Charlotte’s Web on Charlotte and other children with Dravet Sydnrome has helped to bring about and change a number of laws regarding medical marijuana. CBD oil can help treat epilepsy. As you read this, several states are working hard to make CBD oil available to children and adults suffering from epilepsy, a neurological disorder that causes convulsions and/or loss of consciousness. This is due to CBD’s anticonvulsant properties, which are being tested for use against neurodegenerative disorders, inflammation, and even cancer. CBD can sedate or energize. In doses larger than a few hundred milligrams, CBD oil can be used as a sedative to help insomniacs and others who have trouble sleeping. In lower doses, CBD oil can cause alertness. If you’re nervous about speaking, try CBD oil. A 2011 study published in “Neuropsychopharmacology” found that a single dose of CBD was enough to reduce anxiety, cognitive impairment, and overall discomfort in patients with Social Anxiety Disorder as they prepared to speak publicly. CBD could stop cancer from metastasizing. A number of studies recognized by the National Cancer Institute have suggested that cannabidiol could reduce the spread of some types of cancer cells, including breast, colorectal, and lung cancers. Scientists think CBD might naturally inhibit ID-1, thereby preventing cancer cells from traveling to other tissues. CBD could prove to be a better anti-depressant than what’s currently available. Dozens of recent studies have shown that CBD can work to treat various illnesses, including depression. Unlike traditional treatments involving counseling and medication, CBD acts almost immediately and doesn’t cause any side effects or symptoms of withdrawal. CBD can be used as a digestive aid. According to the National Cancer Institute, CBD can be used to stimulate appetite while at the same time limiting nausea and vomiting, making it a helpful digestive aid for those fighting illnesses that decrease hunger. When it comes to treating illnesses, anxiety, cancer, depression, and epilepsy are just the beginning. The possibilities seem almost endless with CBD! 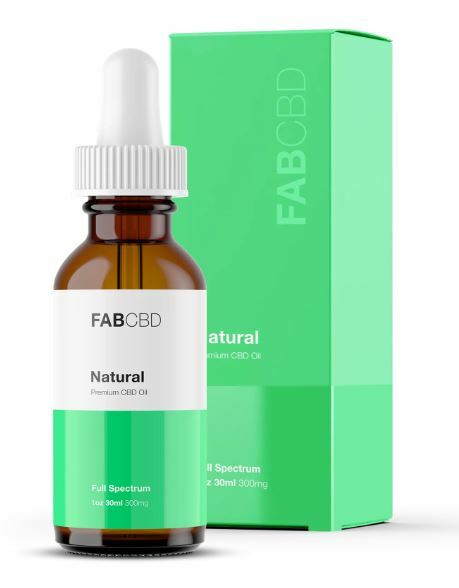 To date, research has revealed that CBD has a wide range of medical benefits against more than 50 afflictions including acne, ADD/ADHD, Parkinson’s, mad cow disease, Huntington’s, kidney disease, rheumatism, sickle cell anemia, and Crohn’s disease, among others. CBD oil works most effectively when combined with THC. THC remains illegal because of its more adverse effects, but it has some pretty powerful healing benefits of its own. Theoretically, combining THC and CBD would cause the two to work in harmony, bolstering its clinical efficacy, but CBD reducing THC’s negative effects. Even pets are benefitting from CBD oil. CBD is also becoming more and more available for use on dogs, cats, and some other animals. Veterinarians are finding that CBD oil can be useful in treating things like arthritis, stress, digestive issues, Type 1 diabetes, broken bones, cancer, and even aggression, among other things. CBD oil is finding its way into beauty products. Many skin and beauty products, including everything from shampoo to skin creams, are being enhanced with CBD. While CBD derived from marijuana plants is still illegal (in most states), CBD derived from industrial hemp — which consists of practically no THC — is legal in all 50 states and more than 40 countries. Many states are now promoting hemp farming opportunities. Since 2013, an increased demand for CBD-dominant cannabis has spurred several states into promoting opportunities for legalized industrial hemp production. There are currently 31 states in which it is legal to grow industrial hemp, including Kentucky, South Carolina, Tennessee, and West Virginia, all states where the tobacco farming industry has declined. Most people credit a CNN documentary for CBD’s rise in popularity. Today, Googling “CBD oil” brings up more than 11 million results. People from all walks of life are talking about CBD oil, and that is in large part thanks to a 2013 CNN documentary entitled “Weed.” The documentary series followed Dr. Sanjay Gupta as he explored the many ways in which CBD oil is helping children with seizures.